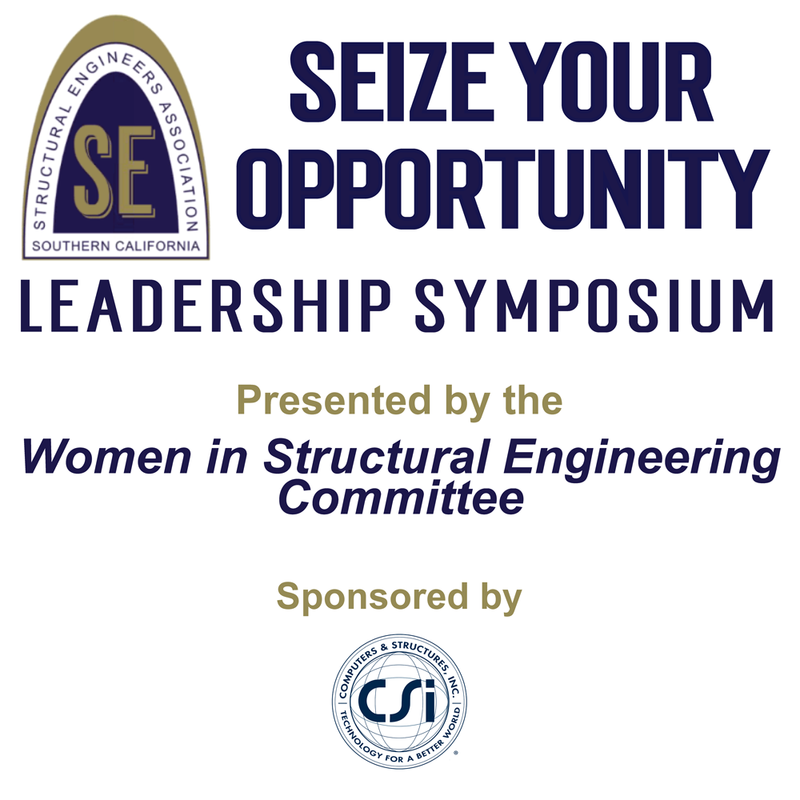 The Structural Engineering Engagement and Equity (SE3) Committee’s mission is to investigate and improve two major aspects of the structural engineering profession: 1) employee engagement and retention, and 2) the equitable distribution of the benefits of the profession to all people working within it. The committee has conducted two national surveys dealing with career satisfaction, mentorship, retention, and compensation, among other issues. From the results of these surveys and experience developing programs within local engineering communities, the committee has developed a set of best practices for the industry, to help improve on the metrics measured in the survey. Nick will speak first to some of the key results of the surveys, then focus on the recommended best practices. 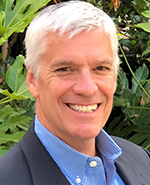 He will conclude with a focused discussion of mentorship, including both information from the surveys as well as the experience of the SEAONC committee in developing short-term and long-term mentorship programs in the San Francisco Bay Area. 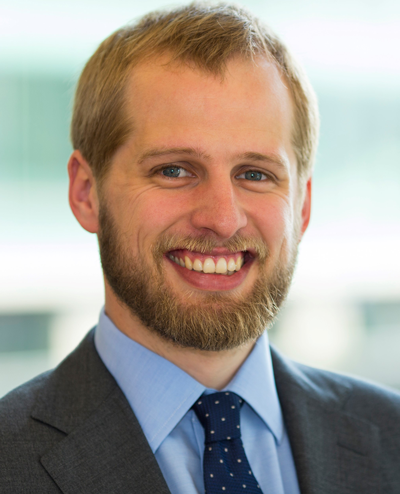 Nick Sherrow-Groves is a Senior Engineer with the San Francisco office of Arup, where he’s been since he graduated with his Master’s degree from Berkeley in 2010. He has worked on a multitude of projects over the course of his time at Arup, from one of the largest airports in the world, to small, geometrically complex art projects, to boutique jewel-box buildings for discerning retail clients, along with a smattering of office buildings. Outside work, he is one of the outgoing co-chairs of the Structural Engineering Engagement and Equity project at the national level, via NCSEA, and was co-chair of the SEAONC chapter of SE3 from 2016-17. He worked closely with the NCSEA committee to release the 2018 version of the SE3 survey, which closed in May of 2018 with over 3200 responses from engineers across the country. For Priscilla Chavez, the construction industry is more than just building. To her, it’s about breaking out of the traditional misbeliefs and discovering unique ways of making a difference in local communities. As the manager of diversity and inclusion at PCL Construction, Priscilla oversees all aspects of government relations, community outreach, supplier diversity, and local hiring requirements. Recently, Priscilla Chavez was recognized as one of L.A’s Most Outstanding Women in Construction & Design by the Los Angeles Business Journal. 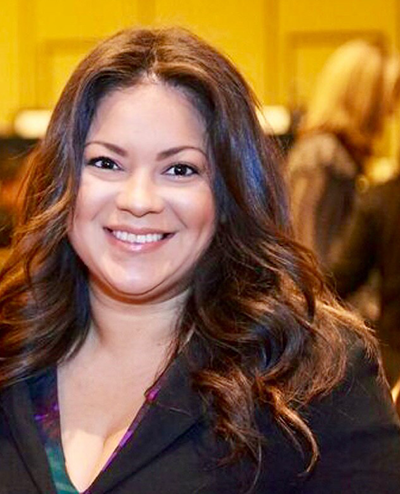 With a passionate for educating small businesses and individuals through PCL’s network, Priscilla Chavez is out to provide opportunities for communities to thrive and grow. 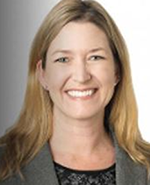 Brenda Radmacher is a Partner with the law firm Gordon Rees Scully Mansukahni LLP where she heads up the Los Angeles office Construction Practice Group. In her more than two decades of experience, Brenda regularly counsels construction industry players including design professionals, general contractors, construction managers, and owners on contract negotiations, risk management, and disputes on construction, real estate, and employment law. 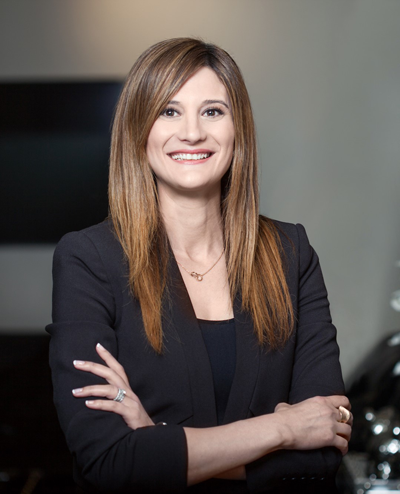 Brenda’s practice emphasizes resolving complex construction disputes through negotiation, mediation, and, when necessary, arbitration and litigation, on projects in California, nationwide, and internationally. 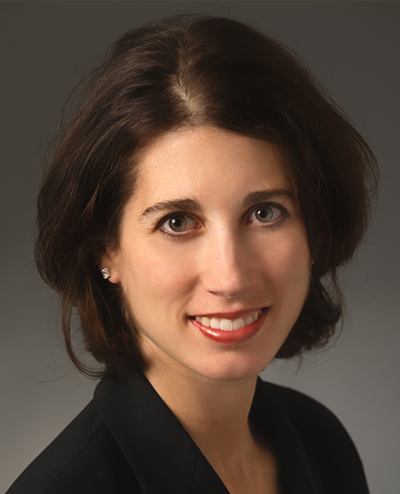 She frequently addresses claims involving breach of contract, construction and design defects, liens, delays and impacts, construction defects, bonds and insurance issues (including among others, general liability, builder’s risk, professional liability and subcontractor default insurance), and represents many of the nation’s largest contractors and developers in the commercial, multifamily, and residential markets. 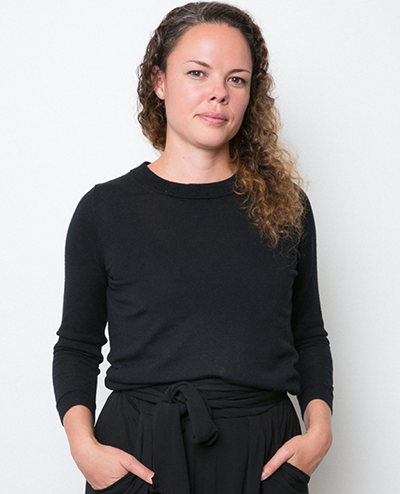 Liz Mahlow a founding partner at Nous Engineering, based in Los Angeles. She is a licensed engineer with over 13 years of professional experience in the construction industry, focusing on high-rise concrete construction, seismic design and special structures. She has managed large-scale, fast-track projects within the US and internationally. Through her structural engineering practice, she has worked to strengthen collaboration and diversity among practitioners in order to create best possible solutions for the project and community. Projects include large hospital campuses and schools in Africa to affordable housing in her Los Angeles community, emphasizing seismic design and client education of building performance outcomes. As adjunct faculty at Woodbury University, she taught multiple lecture and studio courses with an emphasis on collaboration between architectural intent and structural performance. She currently is Vice President of Development of the Los Angeles Forum for Architecture and Urban Design and serves on the Advisory Board for the Architectural Engineering Department for Cal Poly, San Luis Obispo. Kurt Clandening SE, is the President of John A. Martin & Associates. With experience spanning a broad range of public and private structure types, he has established a wealth of expertise in the design and construction of laboratories, educational facilities, large-scale retail, custom residences, office buildings, hotels, museums, performing art centers, and parking structures. Additionally, as a veteran engineer based in California, he has deep-seated expertise in seismic retrofitting and strengthening of existing buildings. Kurt holds a B.S. degree in Architectural Engineering, from California Polytechnic University at San Luis Obispo (1987) and an M.S. degree in Structural Engineering and Structural Mechanics (Emphasis on dynamic behavior / structural analysis of high-rise buildings), University of California, Berkeley. Do you know what your unique value is? In this interactive workshop you will discover your personal identity that defines you and your company’s purpose. Cultivate your social skills to achieve your personal and professional goals. Gain confidence through creating and defining your voice and why it matters. Align your personal brand towards achieving professional growth. Your superpowers are waiting to be engaged! Meet Jen…This Southern California native loves to create transformative experiences for people and businesses to discover their true potential. With a 15+ year career at The Walt Disney Company as their premier global performer and leadership development trainer and facilitator, she has gathered and cultivated techniques that can apply to any person in any industry. As a marketing and business development “solo-preneur”, this Biz Dev Diva has conceptualized, designed and launched several production companies, artists and start-ups. Her effective techniques will allow you to feel motivated, equipped and confident to pursue your ultimate purpose through empowerment. In the past, women may have taken a less active role in financial decision making, for a variety of reasons. But today, with more women than ever responsible for their financial well‐being ─ and the financial well‐being of their families ─ it's cri cal that women know how to save, invest, and plan for their future. At almost any stage of adult life, there are things we as women can do to help ensure our economic security. In this presentation, we will cover the unique monetary challenges we women face, steps we can take to help achieve financial security, how to overcome unexpected obstacles and understanding the psychology of wealth building. Women are the key to their own financial futures. It's critical that we educate ourselves to make wise and informed decisions. Knowledge gives you power. Power gives you confidence. Confidence helps you make wiser choices. Crystal is a personal finance expert, a national financial motivational speaker, a Personal Money Trainer™, and author. She is a regular TV and radio guest who has appeared on CBS News, Fox, ABC, KFI, KTLK, KRLA, KDAR, and KKLA. She has also been featured in publications such as Oprah.com, Entrepreneur and Redbook. Crystal has been a guest speaker at numerous events sponsored by organizations such as the National Active and Retired Federal Employees Association (NARFE), the Screen Actors Guild (SAG), the Motion Picture & Television Fund, California Women’s Conference, the Los Angeles Women’s Expo, An Empowered Woman, and the Guam Women’s Leadership Retreat. Many people believe the myth that super-successful, charismatic leaders are born that way. That through genetic gifting, they’re naturally friendly and hard-wired to make connections with ease, behave gracefully and close deals. The truth is, we are all talented and hard-wired for relationship. Anyone willing to understand themselves and others can achieve professional success by mastering the art of building social capital. Built on a bedrock of trust and rapport, Social Capital is the relational currency that exists between people and it creates amazing opportunities for those who can build it and use it with finesse. In this presentation, Executive Communication Coach, Kimberly Gerber, shares her philosophy and specific techniques for building social capital by creating productive, profitable and positive relationships. 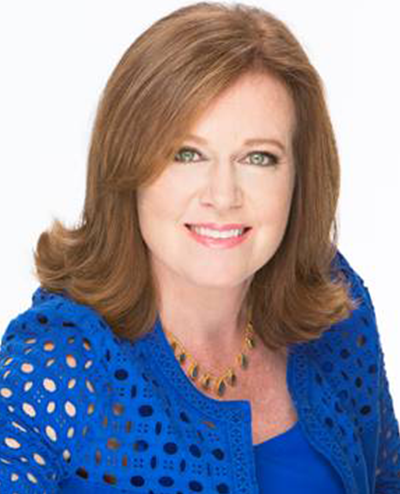 Kimberly Gerber is an executive communication coach and strategy expert with nearly three decades of experience in leading Fortune 500 companies and their leaders to success. As founder and CEO of Excelerate, a firm specializing in executive development and communication, she has created innovative leadership development programs to help senior managers think strategically, finesse their communication and improve their impact. With the goal of creating positive change, Kimberly offers her clients a refreshing blend of keen insight, honesty and practical wisdom, producing an exceptional impact on their teams, organizations and in their own lives. Amber Freund is CEO of RISA and leads a dedicated team of passionate engineers developing and supporting world-class structural design and analysis software. She loves structural design software because she gets to see all of the amazing structures engineers design every day; everything from trusses to buildings to bridges. Prior to entering the software industry, Amber worked as a structural design engineer at a firm in San Diego. Amber holds a B.S. in Architectural Engineering from Cal Poly San Luis Obispo, an M.S. in Civil Engineering from UC Irvine and is a Licensed Professional Engineer in California. Amber Zamora, Principal of Concrete West Construction, Inc., started her career in construction 20 years ago, specializing in all facets of seismic retrofit & structural construction, such as concrete, shotcrete, steel, micropiles, CFRP, and rough carpentry. Amber is a highly talented visionary who has a knack for assisting clients through the early stages of project development, including preliminary budgets, value engineering, trade integration, and scheduling. With Amber's systematic approach to project development, clients are able to trust that they will achieve their project goals with minimal issues during construction. 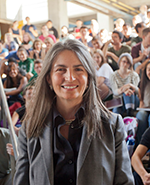 Architect-engineer Christine Theodoropoulos is Dean of the College of Architecture and Environmental Design at California Polytechnic State University, San Luis Obispo where she stewards nationally recognized programs in architectural engineering, architecture, landscape architecture, city and regional planning, and construction management. Inspired by students and working in collaboration with faculty and industry, she has led curricular innovations, launched new programs and supported research initiatives that impact the future of the built environment. Diana Nishi joined Englekirk in 1988 and has worked on numerous projects in Southern California. Ms. Nishi's professional interest and expertise is in the area of the design of concrete and steel structures. She has been responsible for a diverse range of projects including the design of hotels, regional malls, parking structures, office buildings, mixed use and institutional facilities. She is a registered Civil and Structural Engineer in the State of California. Joseph LaBrie has been a member of the Structural Engineers Association of California for over 30 years. He has served on multiple committees, was a SEAOC board member for several years, and served as SEAOSC President in 2012. Joe has worked with visionary members of both SEAOSC and SEAONC to advance participation and awareness of the “Strengthening our Cities” summit; an annual event that contributed to improved seismic safety ordinances in many of our cities. 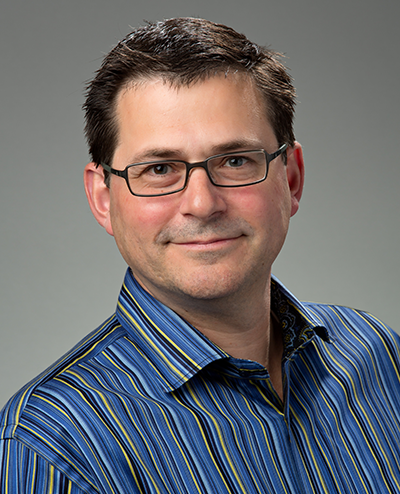 He has served on the Hospital Building Safety Board (HBSB) since 2005 to represent the perspectives of Structural Engineers on the Board and several of its committees to raise the bar of efficiency and safety in the hospital building design industry. Joe is also the owner of MakeItRight, a progressive Structural Engineering firm. 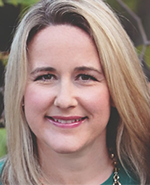 Krista is a licensed Structural Engineer and works for Buehler Engineering, Inc. where she is an Associate Principal and Regional Office Manager of their Los Angeles office. 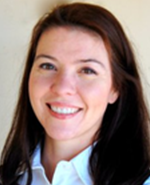 She has been at Buehler since graduating from Cal Poly, SLO, in 2004 with a B.S in Architectural Engineering. Krista has been involved in all phases of design, coordination, and construction administration for health care, education, retrofit and aviation projects. 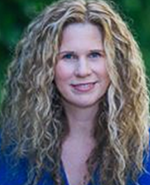 Krista has served on various committees and the Board of Directors for SEAOCC and is a SEAOCC Past President (Structural Engineers Association of Central California). In her roles as Associate Architect and Project Manager in SOM’s Los Angeles office, Lani Lee plays a key liaison role between the client, consultants and her team. Throughout her career, Lani has brought to life institutional projects that emphasize sustainability and maintain a positive impact on our environment. Her work extends across a broad scope of project types including: large institutes of higher learning, affordable housing, performance spaces, mixed-use urban structures and the restoration of historic buildings. With two decades of professional experience, she has designed education buildings, classrooms, and laboratories where those who learn and teach can flourish. Currently, through her leadership roles in SOM’s Women Initiative and the AIA’s Women in Architecture Committee, Lani is helping the next generation of women architects exceed their goals and blaze new paths within the industry. 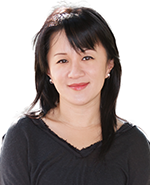 Melanie is a licensed Architect, LEED BD+C certified, and was recently named AIACC Young Architect of 2017. Her portfolio includes over a dozen built projects in the US and overseas in a variety of scales and program types. Melanie brings an infectious enthusiasm for creativity and diligent work ethic to the profession. She is a founding member of The Breakfast Club, a gender equity initiative started in Gensler LA and now taking place in offices around the world. 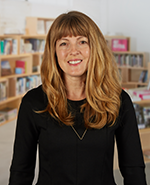 She is Past Co-Chair of the WiA AIA|LA and routinely speaks at women empowerment events including Lady Boss at the Ace Hotel. Outside of the office, you might find her exploring the city on two wheels with her husband and young son. 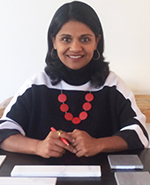 An architect with over 18 years of experience, Pooja is an Associate Principal at Abode Communities Architecture, Board member of the AIA LA Chapter, and founding co-chair of the Women in Architecture Committee. She led the planning of the 2106 & 2017 Powerful Conference for AIA in Los Angeles. Pooja’s formative years in Delhi influenced her thought process, which is deeply rooted in context, craft, and environmental planning strategies. Pooja came to SCI-Arc for graduate studies in 2000 which provided a cradle for fresh ideas and gave perspective on tradition and globalization. Her desire to shape community was manifested in projects that Pooja contributed to at the practice of Moore Ruble Yudell Architects & Planners from 2003 to 2017, including the Ocean Avenue South development, 2802 Pico Housing, and Saint John's Master plan. Russell Kehl joined Structural Focus in 2001 after working for three years at another structural engineering firm in Los Angeles. He is now a licensed California Structural Engineer with over 20 years of experience in structural analysis, computer modeling, seismic evaluation, historic preservation, new structural design, and retrofit of existing structures. 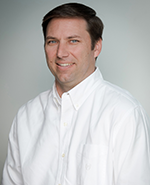 Russell serves as a Project Manager on Structural Focus projects. Some of his projects include the John Anson Ford Amphitheatre, Agensys Laboratories, the historic Harada House in Riverside, The Reserve, Wilshire Boulevard Temple, the design of new Post Production facilities, laboratory buildings, several adaptive reuse projects, and numerous renovations. 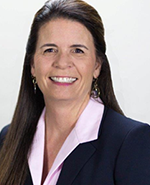 Susan M. Dowty brings 34 years of experience in the development, application and interpretation of building code provisions to her position as California Government Relations Manager for the International Code Council. Prior to her current position, Ms. Dowty was Vice President for S.K. Ghosh Associates, a seismic and building code consulting firm. She is a member of the Structural Engineers Association of California and previously served on its board of directors. 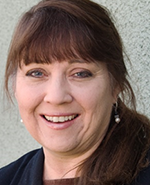 A California native, Sandra has been practicing Structural Engineering for over 25 years on the west coast, and is a Principal at DCI Engineers Irvine office. Since joining the company, Sandra has been an integral addition to the DCI team. She brings an abundance of knowledge on a wide array of building types, design techniques, and an impressive understanding of codes and regulations. Sandra appreciates the art of structural design; watching a project come together, from the initial project conception through construction administration, with a tangible finished product that becomes a part of our built environment. Sandra earned her Bachelor of Science in Architectural Engineering from Cal Poly, San Luis Obispo, has served on the Board of Directors for SEAOSC and SEAOC, and is a Past-President of the Structural Engineers Association of San Diego.